In early August ZF was the first Muslim organization to arrive in Dabaab refugee camp in Kenya, now Kenya’s third largest city. We established a permanent presence in the Dabaab camp with the support of the United Nations. Built for no more than 90,000 inhabitants, Dabaab currently holds more than 440,000 people. When we arrived in Dabaab we provided the meat of 20 goats to a small group of the refugees but the needs were enormous and we could not meet the demands for food. In recent weeks, at least 1,000 Somalis have crossed into Kenya each day, many of whom have been robbed or raped en route. The facilities in the camp are inadequate for the growing crisis and children are becoming ill weeks after arriving due to worsening conditions. Complete recovery from the effects of this famine is not expected until 2012 and it is believed that long-term strategies by national governments, in partnership with development agencies, will offer the most sustainable results. 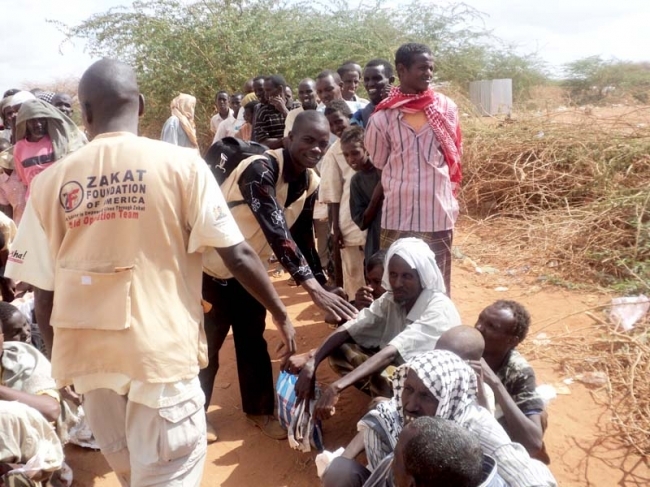 Thus, ZF is strengthening its relief efforts in order to sustain the Somalis through these dire times. We have sent three containers of food and have a team providing food and medical care within the camp. We have pledged to continue these efforts. Please continue to pray for the people of Somalia, donate now, and consider them at Eid ul-Adha to allow them to endure until their time of need has passed.